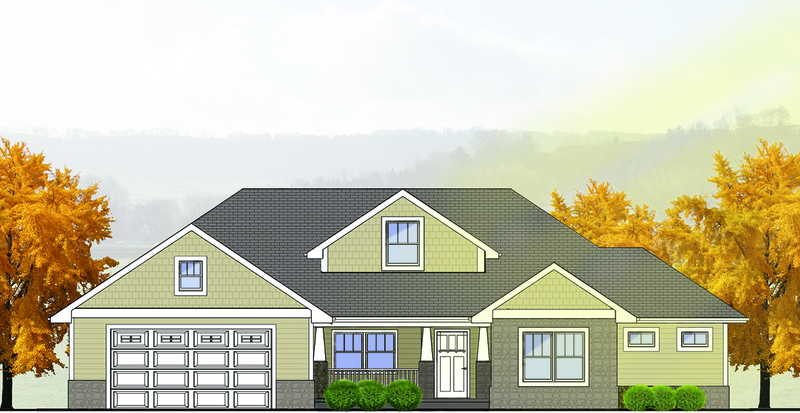 Our Everly model provides efficient living space plus the benefit of a convenient office or family work space. 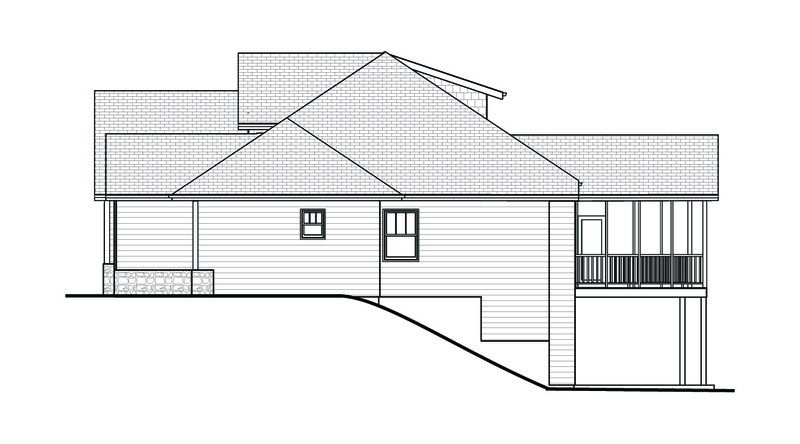 It sets on a 65′-5″ x 42′-4″ footprint and is perfect for lots that allow for a lower level walkout. 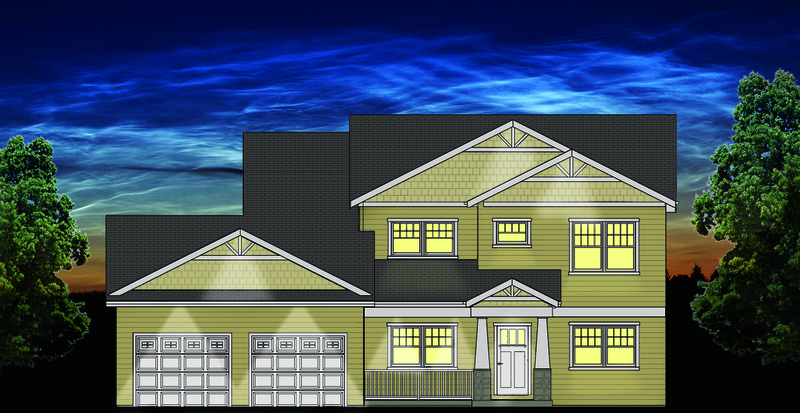 Everly easily fits a family of four with two bedrooms on the main level and two bedrooms on the lower level. 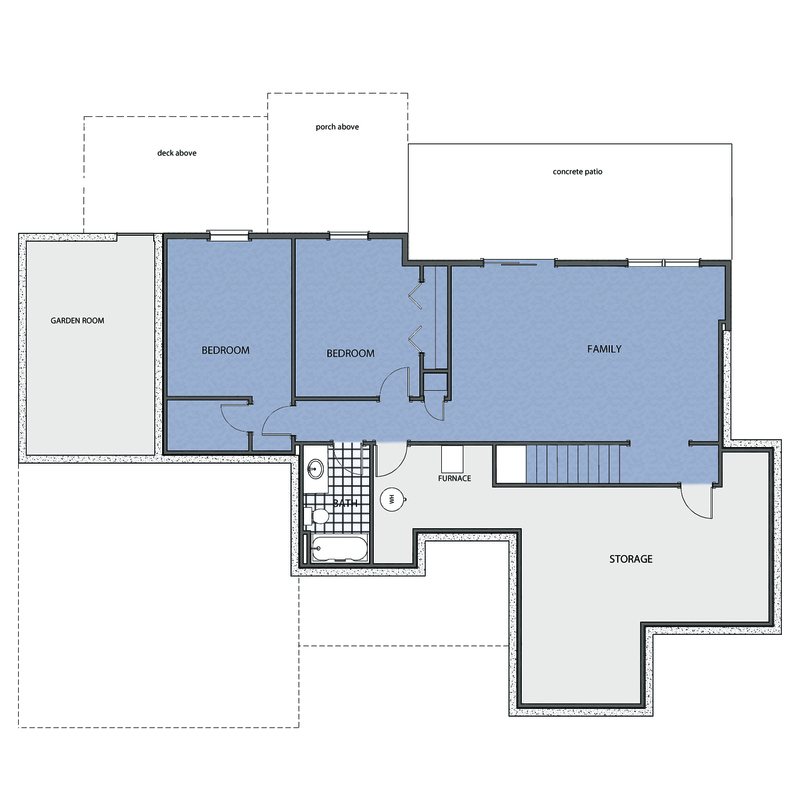 The master bedroom has a walk-in closet and 3/4 master bath with walk-in shower. The kitchen is sized perfectly for quick meal prep and easy maintenance. Its space is open to the main living making it feel larger and the ability for functional family gatherings. A unique aspect of the main level laundry room is coat lockers located directly off the garage. The main living space is open to the kitchen allowing families to interact throughout the day. It also includes the comfort and ease of a gas fireplace to curl up next to. This space also walks out onto a screened porch and exterior deck. 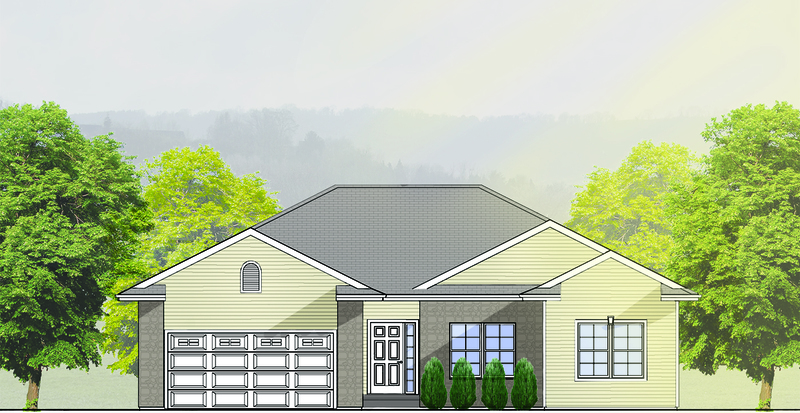 The lower level walkout provides living space with a spacious room for family entertaining that walks out to a outdoor patio. 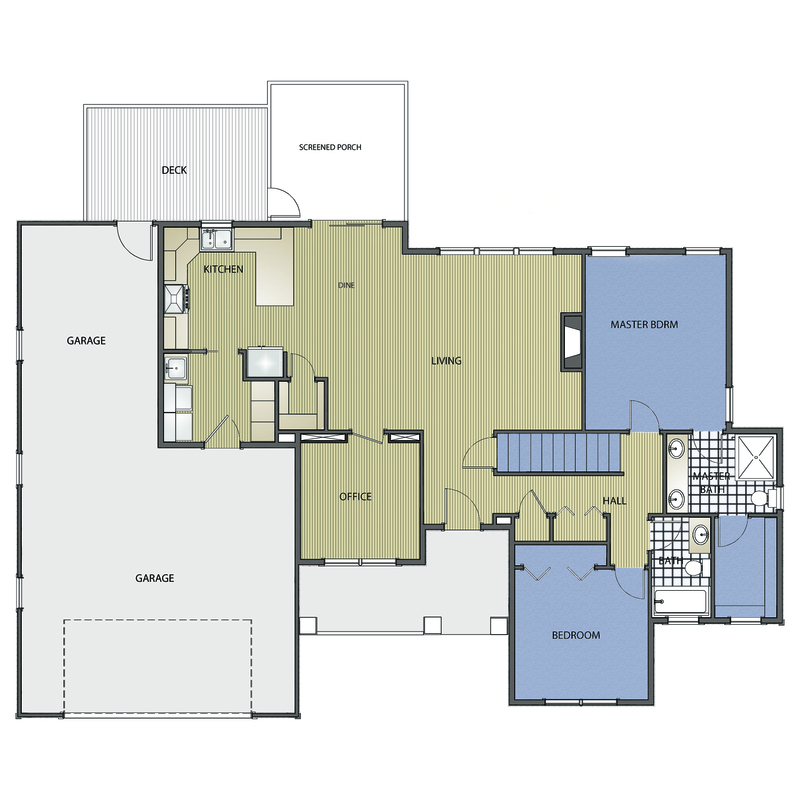 The level also has two of the four bedrooms plus a full bath. In addition it has adequate storage capacity for any family size, plus a room accessed from the exterior for garden, yard or maintenance equipment storage.